"Axis snipers have been deployed near a desert canyon. The Allies must send a crack team of snipers to defeat them. 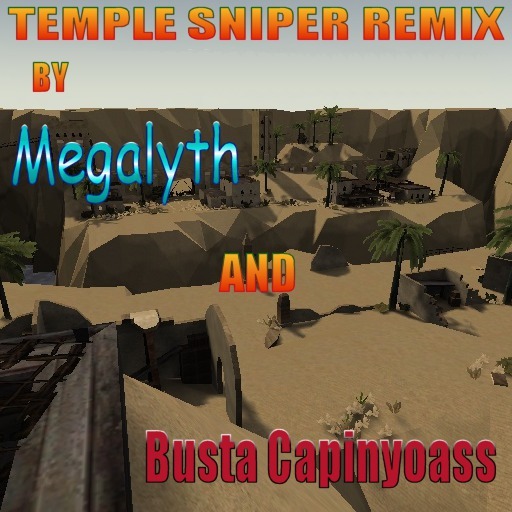 Original map by JimBob and Marko, remixed by Megalyth & Busta Capinyoass. This map is designed for Jaymod Sniper War ONLY!" "Axis snipers have been deployed near a desert canyon. The Allies must send a crack team of snipers to defeat them. Original map by JimBob and Marko, remixed by Megalyth & Busta Capinyoass. This map is designed for Jaymod Sniper War ONLY!" wm_mapdescription nuetral "Axis snipers have been deployed near a desert canyon. The Allies must send a crack team of snipers to defeat them. Original map by JimBob and Marko, remixed by Megalyth & Busta Capinyoass. This map is designed for Jaymod Sniper War ONLY!"